State Duma passes Runet security bill in first reading | Russian Legal Information Agency (RAPSI). MOSCOW, February 12 (RAPSI) – The State Duma, the lower house of parliament, passed in the first reading on Tuesday a bill aimed to ensure security and availability of Russian Internet (Runet) in the event of its isolation from the global network. The bill has been drafted taking into account “a violent nature of the U.S. National Cybersecurity Strategy adopted in September 2018,” an explanatory note to the initiative reads. The Strategy accuses Russia of committing hacking attacks without evidence, according to the draft law’s sponsors. Lawmakers believe that under such conditions there is a need for protective measures to ensure a long-term and robustness of Internet in Russia and to improve performance reliability of Russian websites. 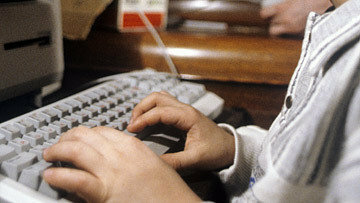 The bill envisages creation of infrastructure that would assure security and operability of Russian Internet resources in case of inaccessibility of national providers’ connection to foreign root servers. 14:31 12/02/2019 The State Duma, the lower house of parliament, passed in the first reading on Tuesday a bill aimed to ensure security and availability of Russian Internet (Runet) in the event of its isolation from the global network.